Shot down low, it’s hard to make out what sort of silhouette the Outback will have, but it’s a safe bet that it’ll retain the same mutant-wagon look that’s made it so popular in markets like the United States. What can be made out of the single official photo is that it won’t simply be a Legacy on stilts anymore. It seems the 2020 Outback will gain an entirely different front-end from the Legacy as seen in the shape of the headlights and bumpers. There’s also a strong SUV vibe this time with the Forester-like vertically-arranged LED fog lamps and the black lower body cladding that now runs across the entire length of the car. The side view mirrors also appear to be of a completely different design with a chrome strip running across it while the “Outback” badge looks to have moved to the rear door. Despite the changes, Subaru is keeping the tire size the same as the current model: 225/60 R 18. Subaru hasn’t revealed anything about the Outback’s running gear but because it’s the latest model to migrate to the Subaru Global Platform (SGP), it’s sure to gain better handling, comfort, and safety. As always, Symmetrical All-Wheel Drive is standard as will the Subaru EyeSight driver assist technology. Given Subaru’s propensity to share its mechanicals, the Outback will probably gain access to the FA24DIT engine making 260 horsepower and 375 Nm of torque—outputs similar to the current 3.6-liter flat-6, while the base models will be motivated by a FB25 with 182 horsepower and 240 Nm of torque. 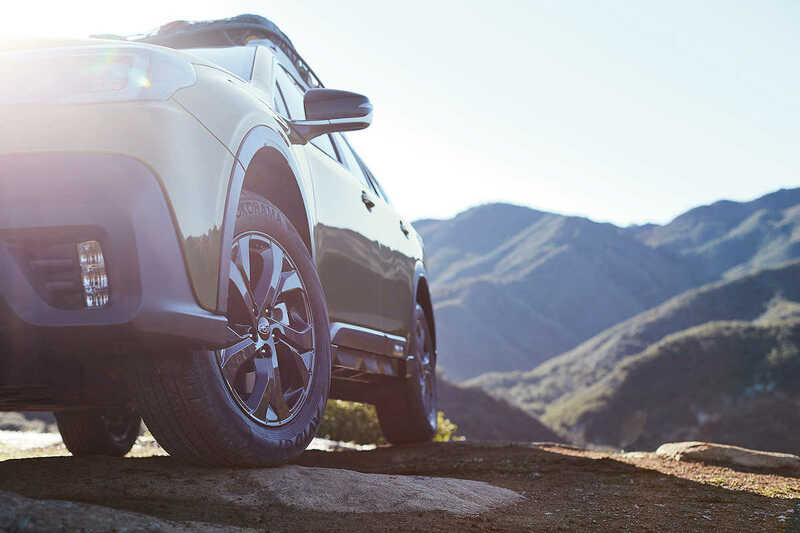 All eyes will be on the New York International Auto Show where the 2020 Subaru Outback will make its debut.